Cybersecurity Jobs Data. PHOTO: Cybercrime Magazine. Earlier this year, Cybersecurity Ventures predicted there will be 3.5 million unfilled cybersecurity jobs by 2021, up from an estimate of 1 million by Cisco in 2014. Almost anyone with cybersecurity experience and realistic salary expectations can find immediate employment. There may be a small percentage of the cyber workforce who are in between jobs, some who have resigned to explore new opportunities, and others who are unrealistic about which positions they qualify for (and the compensation commensurate with their experience) — but there’s an abundance of positions available for cybersecurity pros. 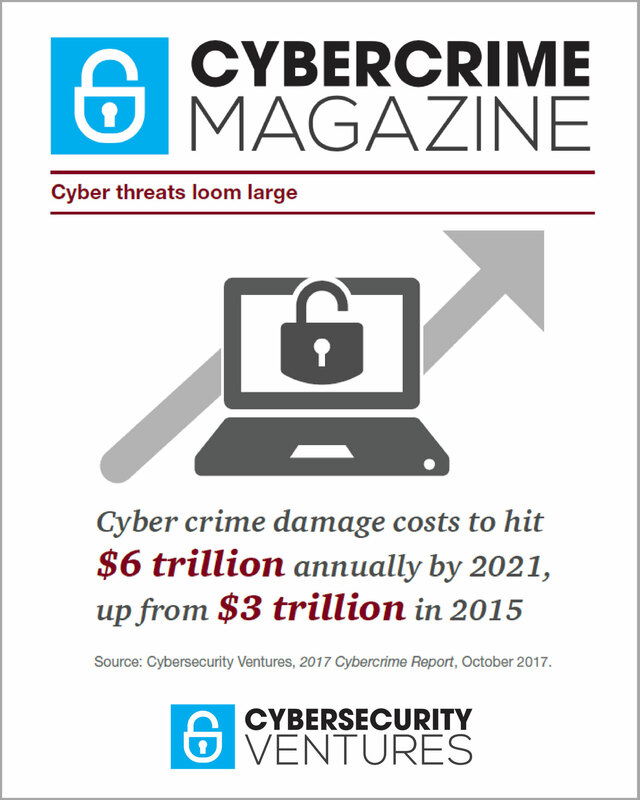 Cybercrime damages are predicted to cost the world $6 trillion annually by 2021, up from $3 trillion in 2015… and the world will spend $1 trillion cumulatively over the next five years from 2017 to 2021 on cybersecurity products and services to combat cybercrime. These figures suggest the cyber employment problem will get worse before it gets better. We interviewed several industry experts who corroborate the unemployment rate and share the recruiting challenges that come with it. “The field of cyber security is the least populated of any field of technology,” says John McAfee, a cybersecurity luminary and founder of Future Tense Central, a privacy and security company which has developed and invested into several cutting edge technologies which protect users of mobile and web apps. 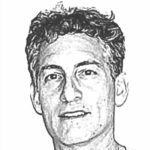 “There are two job openings for every qualified applicant,” adds McAfee, who is also CEO at MGT Capital Investments, Inc., which is in the process of acquiring a diverse portfolio of cyber security technologies. Robert Herjavec, founder and CEO at Herjavec Group, a leading global information security advisory firm and Managed Security Services Provider (MSSP) with offices across Canada, the United States, United Kingdom and Australia, concurs with Cybersecurity Ventures’ findings. “We are one of the few industries globally experiencing zero-percent unemployment,” says Herjavec. “I also believe there ‘s a number of people coming out of school with cyber degrees and they can’t get jobs because of minimal experience. Whether they like it or not they need to take those entry level positions and mature as a security professional. Just because you have a degree doesn’t equate to a high paying position – you have to work for it and many times that means you take the junior positions and get experience.” Hayslip, who is co-author of the book ‘CISO Desk Reference: A practical guide for CISOs‘, makes a good point which is also relevant to IT workers who are crossing over to cyber. Frank Zinghini, founder and CEO at Applied Visions, Inc. (AVI), a software development company focused on creating visual software solutions to solve complex problems in cyber security and command and control systems to government and commercial customers worldwide , has been hiring programmers who are fresh out of college for more than twenty years . “Opportunities for jobs in the cyber security sector are abundant, and far outstrip the available talent to fill them,” says Zinghini. Non-existent unemployment may be good for candidates, but not for employers. “While zero percent unemployment rates sounds optimal, it creates a lot of challenges for organizations including retention issues, salary inflation, and sub-par candidates getting jobs they are not qualified for,” says Veronica Mollica, a Cyber Security Executive Recruiter for the past 14 years and currently Vice President of Business Development at CyberSN. Where is the best place for employers to find the top cybersecurity talent? HR chiefs may want to take McAfee’s lead and send their recruiters to the top cybersecurity conferences to network in a venue where thousands of cyber people are all under one roof. Local cyber events are another viable recruiting ground. The experts are saying there’s a job for everyone, and candidates just need to be realistic. Recent college grads with cyber degrees and IT workers crossing over to cyber may have over-inflated views of their job prospects. Some of them might need to think about starting out at the bottom rung of the ladder as an information security analyst and then working their way up. U.S. News and World Report ranked a career in information security analysis eighth on its list of the 100 best jobs last year. They stated the profession is growing at a rate of 36.5 percent through 2022. That bodes well for newbies, much the same as more experienced cyber fighters.